My first time ever seeing a chiropractor was this past Monday, My experience with Dr. Weinberg was amazing.. he explainedeverything I needed to know and got right to where my problem was and nailed it. I could definitely see the experience that he has. Overall very satisfied and pleased with him, I would like for him to be my chiropractor for as long as possible and would highly recommend him to everyone. My first time ever seeing a chiropractor was this past Monday, My experience with Dr. Weinberg was amazing.. he explained everything I needed to know and got right to where myproblem was and nailed it. I could definitely see the experience that he has. Overall very satisfied and pleased with him, I would like for him to be my chiropractor for as long as possible and would highly recommend him to everyone. Dr. Judd is always attentive and intuitive. He is able to target problem areas and provides immediate relief as well assuggested lifestyle changes to prevent reoccurrence. Dr. Judd is always attentive and intuitive. He is able to target problem areas and provides immediate relief as well as suggested lifestyle changes to prevent reoccurrence. Dr. Judd Weinberg DC has been in practice actively seeing patients for 15 years. 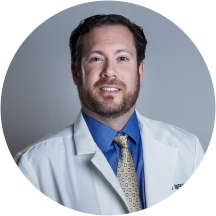 Dr. Weinberg is a graduate of Life University with a Doctorate and board certifications in both Chiropractic and Physical Therapy Modalities. In his many years of practice he has learned how important it is to listen careful to the patient's problems, do a thorough exam, and then clearly communicate the problems, and treatments plans to the patient. Dr. Weinberg understands that many of his patients are in pain or discomfort and always looks to work with a light touch and the greatest care to keep the patient comfortable as well as do everything possible to get the best results as fast as possible. Each patient will always be treated as an individual and receive Dr. Weinberg's full personal attention and care. Very personable, yet professional. He asked a lot of questions to make sure he totally understood the reason for the visit, took the time to really listen to and take seriously my responses, and with his own expertise knowledge was thenable to zone in on an ideal treatment plan. Dr. Weinberg is amazing! He is so personable and extremely knowledgeable in his craft. I truly appreciate him taking the time to educate during appointments and put any concerns to rest with actual research. Can’t wait to go back! Dr. Weinberg is always a joy to see. He knows what is taking about and makes the whole experience an ease. Dr. Judd is great! This was my first visit, and he was incredibly patient, thorough, and knowledgeable. He explained things in a way I’ve never had any other doctor do. He takes time to ensure you understand, but still remains on-task.I’m really glad I made the appointment with him. He's a fantastic chiropractor! I injured my back during work and has worked with me to help it heal beautifully. I'm not an easy patient as I like to stay active, he worked with me to help stretch and strengthen musclesthat needed extra pampering so I could continue to swim, practice Taichi and dance! A wonderful doctor. Highly recommended! Dr Judd Weinberg is a true professional! He takes time to listen to your concerns and he ask appropriate and important questions about your injury prior to working to resolve your problem. He talks straight about what is needed to resolveyour pain, heal your injury, and does not schedule you for any unnecessary follow-up appointments. The best Chiropractor I have encountered while living across multiple states over the past 34+ years. Dr. Judd was very nice and informative. He explained the process of my treatment and my condition very well. I would recommend him. Dr. Weinberg was extremely personal and detailed with his diagnosis and treatment, I definitely recommend him. It was much more than i expected! I felt better just by his knowledgable conversation. I really enjoyed this experience and look forward to my next appt for more attention to my back back. He got me fix in no time, I recommend him to everyone!!! Knowledge about anatomy is top rate? Very concise and explains very well! Always provides outstanding service. Very accommodating, goes the extra mile for me when I need it. You can immediately tell that he genuinely cares about his patients and always puts them first. And as a bonus, he always imparts helpful knowledgeto me every time I visit. I am so super grateful for him! Dr. Weinberg is great! He listens to your needs and takes his time to address your concerns. He clearly cares about his patients! Fantastic experience, answer all of my questions and really explained what the issue was and how to fix it. Happy to have found this doctor. Would highly recommend!! Very knowledgeable and informative. Dr. Judd was excellent! The wait time was absolutely nonexistent. He greeted me as soon as I walked in. He was incredibly friendly and great at explaining everything and making me feel really comfortable. This was my first chiropractic appointment,and the adjustments he made in my neck made the headache I'd be struggling with for two straight weeks completely disappear! I can't say enough great things about Dr. Judd. I highly recommend him to anyone who is considering chiropractic treatment! Fantastic doctor who is professional, understands the needs of his patients, and doesn't push for unnecessary expenditures. Saw Dr. Weinberg when I was in from out of town and couldn’t see my regular chiropractor. He was incredibly efficient while still being warm, thoughtful, and making sure he had all the right information. Could not have done a better job. Would recommend to anyone. Dr. Judd is very knowledgeable, friendly & ensures that you get back to normal especially after a car accident. Never waited more than 5 minutes to be seen & always walked out feeling better! We're foster parents and our new placement likes to be held, although she's too big to be held, so my back is constantly out of alignment. Dr. Judd helps get me back in alignment so I can keep on picking upthis child so I can keep on coming back. He's one of my most trusted doctors. Highly recommend!! Dr. Judd was very helpful and patient to let me know where th problem is. I will highly recommend him. My visit today was great as always. I love Dr Weinberg he is always personable and very effective. Went in to see Dr. Weinberg on the fly one day after work. I was in an unreal amount of pain and needed to be seen right away. Dr. Weinberg was amazing he got me out of pain in only acouple of visits! He is super personable and very professional. He gave the best adjustment I have had in a couple of years! Totally worth a visit if you are in pain or just looking to maintain health!!! Dr Weinberg is wonderful. He always sees me promptly and has an excellent bedside manner. I highly recommend his services to anyone in need of a chiropractor. Great Dr explained everything in detail and was super pleasant to talk to. Dr. Weinberg is great! He knows his stuff!! Dr. Weinberg was absolutely wonderful. I was in a lot of pain when i walked into the office but he was very thorough and patient with me through my discomfort. He also explained how the problem occurred and gave tips on avoiding future occurrences among other helpful advice. Dr. Judd was absolutely amazing! He is very friendly and explained everything he did, as this was my first visit. He was able to help my pain right away and came up with a plan to continue to treat it. Healso went above and beyond and is helping me with my migraines, which I had no idea could be treated through chiropractics. Dr Weinberg is very knowledgeable. I would use him again. He fixed my pinched nerve in one visit. I have seen other chiropractors in the past and on first visit, I was amazed about the depth of Dr. Weinberg's chiropractor practice. The doctor asks the right questions and pinpoints correct problematic areas upon evaluation. If you have backissues and knees issues, I am very sure this doctor can help you. This was my first visit to a chiropractor. I will definitely go back. I’m not saying I am fixed in one visit but I can tell a difference. He paid attention to what I said and didn’t rush me in and out. Dr. Judd is really knowledgeable and extremely helpful. He made me feel very comfortable and truly helped me to reduce my pain on the first visit. I would definitely recommend him! He’s awesome! Great doctor and super friendly! Always in a good mood and he sees you true to your appointment time. Dr Weinberg is an excellent chiropractor. I already feel significantly better after 1 Visit. I already have, and will continue to highly recommend his services to anyone in need of chiropractic care. Visit went well. He was willing to answer all questions and was not rushed. Dr. Judd was very informative and kind. He explained everything very thorough and made the visit well worth it. Dr. Weinberg was friendly and very informative. Dr Judd is very approachable and good at explaining things to patients. Definitely recommend him to other people!